Heather has significant operational experience in the healthcare sector as well as operating a number of UK Governmental Boards. She joined us as Chair in April 2016, and more recently was appointment as a Non-executive Director to the Royal Marsden Hospital. 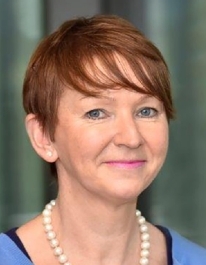 Heather has over 40 years of frontline NHS experience and over 20 years’ experience as a Chief Executive Officer in the hospital and healthcare sector. From 2000 to July 2012 she served as CEO of the Chelsea and Westminster Hospital, which gained NHS Foundation Trust status in 2006. 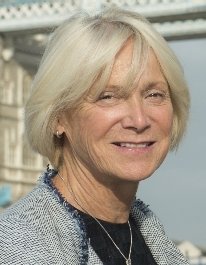 She served as CEO of North Hertfordshire NHS trust from 1996 to 2000 and Hounslow and Spelthorne Community and Mental Health Trust from 1989 to 1996. Heather now has five years’ experience as a Non-executive Director in the private and public sector. In July 2012, Heather was appointed by Secretary of State for Health a Non-Executive Director of Monitor, the NHS Regulator. In addition she was appointed to a FTSE 250 international health board at the same time. Heather believes that excellence in healthcare is something everyone should be entitled to and continually strives to deliver this by valuing all staff and utilising the resources available, focussing on people, systems and processes. She was awarded an OBE in the 2010 New Year Honors’ List for her services to healthcare. 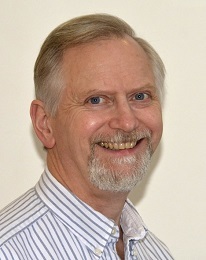 Theo took up his post in March 2014 and is the Trust’s Deputy Chairman. He is also a Board member of Transport Focus, the Government’s independent watchdog for rail, bus and tram passengers and users of the strategic road network. He has over 30 years’ Board level experience in the logistics and supply chain industry working for DHL in the UK and abroad and Bibby Line Group where he was Chief Executive of Bibby Distribution and a member of the Group Board. 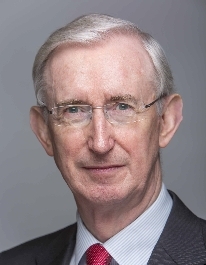 From 2007 until retiring in 2015 he was Chief Executive of the Freight Transport Association (FTA) representing industry’s freight interests by road, rail, sea and air. He has a degree in Economics and is a Fellow of the Chartered Institute of Logistics and Transport. Theo is Chair of the Logistics and Infrastructure Committee, a member of the Audit Committee and the Finance and Investment Committee and is the health and safety lead for the service. Fergus joined us in March 2014. He was a non-executive director of NHS North West London until the replacement of primary care trusts in 2013 and previously served on the board of NHS Kensington and Chelsea. He worked for the multinational consumer goods company, Unilever, for 36 years, initially in finance and later as a general manager, heading businesses in Africa and South Eastern Europe. He holds degrees in economics and is a qualified accountant. He is Chair of the Finance and Investment Committee and Charitable Funds Committee and is our Freedom to Speak Up lead. Sheila joined the Service in February 2017 and has over 30 years of experience at executive and board level in organisations including Norton Rose Fulbright, BP, Royal Mail, IBM and Detusche Bank. She specialises in delivering transformational change through the application of innovative technology solutions. She has managed international teams of 400 employees, delivered numerous complex change programmes and integrated diverse technology platforms in support of mergers and acquisitions. Sheila spent a number of years in Hong Kong, Singapore and Australia providing consulting services to the Financial Services and Manufacturing sector. She served as a non-executive director on the board of Companies House and was also a member of the Audit committee. Sheila is currently the Chief Information Officer for Deloitte North West Europe where she leads a team of over 300 IT professionals. Her focus is on delivering Technology and Digital services to enable client service delivery..
Sheila has a Masters in Information Systems and is a Doctor of Business Administration. Her doctoral thesis explored the impact of Innovation, Workforce Diversity, and Globalisation on IT management and practice. 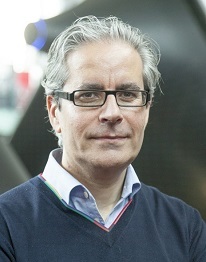 John Jones started as an associate non-executive director in October 2012, and took up his substantive role on 1 January 2013. He has 17 years’ experience at board level in the NHS and has held a number of executive finance director positions. As a Director of Finance with Hertfordshire Partnership NHS Foundation Trust, John helped them to attain foundation trust status. John is a member of the Chartered Institute of Management Accountants and the Chartered Institute of Public Finance and Accountancy and Fellow Chartered Director of the Institute of Directors. Prof Brohi has worked as a consultant in trauma and vascular surgery at Barts Health NHS Trust since 2006 and is the clinical lead for pre-hospital care. Since 2014, he has been the clinical director of the London major trauma system, incorporating four specialist trauma centres, and the care of over 15,000 patients a year. Prof Brohi has been directly involved in the care of patients from numerous major incidents and terror attacks. In 2017 he was the surgical commander at The Royal London Hospital for the London Bridge terrorist attack and as pan-London trauma system director, was responsible for the overall response, recovery and debriefing for the Westminster Bridge, London Bridge and Grenfell incidents. Jayne joined us in January 2017. She has spent more than 25 years in human resources and organisation development, working in executive roles with the Boots Company, Whitbread, Royal Mail, Punch Taverns and Barratt Developments. 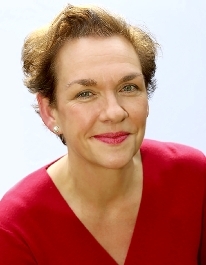 Until June 2015 she was Director of People and Organisation Development at Imperial College Healthcare NHS Trust. Through her work as an Executive Coach, Jayne supports executives and organisations in culture change, engagement and transformation. She is a trustee of St John Ambulance and MEI (Mathematics in Education and Industry) where she chairs both remuneration committees. Jayne is also HR Counsel at restaurant chain Prezzo. 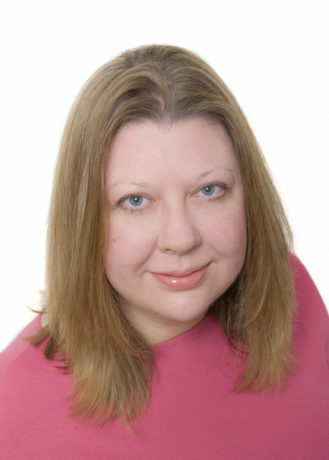 Jayne is Chair of the People and Culture Committee and a member of the Finance and Investment Committee. Buckinghamshire last year. He is a clinical quality expert who brings 30 years’ experience working as a GP in London and surrounding areas. 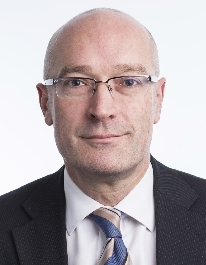 He is Vice Chair of the London Clinical Senate and has had various roles at NHS England (London), including Deputy Regional Medical Director and Medical Director for Quality and Service Design. 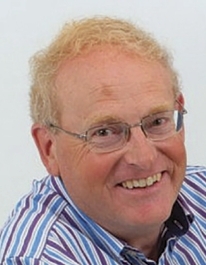 Mark has also worked as a hospitals inspector for the Care Quality Commission, advised the National Institute for Health and Care Excellence (NICE) on commissioning guidelines and been part of the London Urgent and Emergency Care Clinical and Professional Leaders Group for the past seven years. 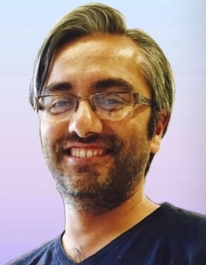 Amit is currently starting a new business looking to improve the home care for older people. Prior to this he co-founded DrEd, Europe’s largest online GP service which has delivered over 1.5 million patient treatments. Before becoming an entrepreneur, Amit led on strategy and planning for Chelsea and Westminster NHS Foundation Trust. Prior to joining the NHS, he was a Senior Civil Servant working on delivering key health targets for then Prime Minister Tony Blair. Amit started his working life as a management consultant for McKinsey & Co, after studying English Literature at Oxford University. Garrett was appointed as Chief Executive in May 2017. He was previously at Transport for London where he was Chief Operating Officer for Surface Transport for eight years. In this role, he had overall responsibility for TfL’s road management including: strategy & planning and the operation of the capital’s major road network. He was also responsible for enforcement and on-street operations, infrastructure asset management and implementation of TfL’s £4bn road investment programme, as well as modal service operations including: Santander Cycle Hire; congestion charging, taxi and private hire regulation; river and coach services and London Dial-a-Ride. Previously Garrett was previously Director of Strategy at Transport for London and, before that, was a Director at transport consultancy, Steer Davies Gleave. 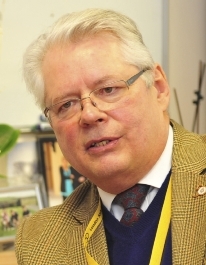 He is a former Head of Buckinghamshire County Council’s Transportation Service and a former Member of the Government Commission for Integrated Transport and Motorists’ Forum. He currently sits on the Office of Rail & Road (ORR) Highways Committee which monitors the performance and efficiency of Highways England. 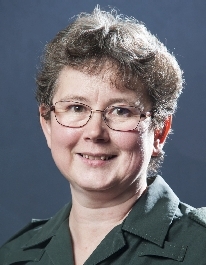 Fenella was appointed the Medical Director for London Ambulance Service in March 2016 having been the interim Medical Director since January 2015. She has also been a Consultant in Emergency Medicine since 2006. She joined us as Assistant Medical Director for control services in 2008 and became Deputy Medical Director in 2010. Fenella has led on our development of urgent care, clinically overseeing the introduction of a Clinical Hub to provide clinical support and ‘hear and treat’, and our step-in provision for NHS 111 South East London. She is also the nominated officer responsible to oversee medication error incident reporting and is the Caldicott Guardian. 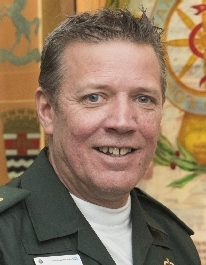 Paul joined London Ambulance Service in 1991 and his career has included time spent working as a paramedic, including a secondment on London’s Air Ambulance, and clinical team leader. He has since held a number of managerial positions with responsibility for the operational delivery and performance. Before his current post, Paul completed secondments with NHS London and Great Western Ambulance Service. As our Director of Operations, Paul is accountable for the day-to-day delivery of patient care, including frontline services, delivery, Emergency Preparedness, Resilience and Response, control services, our Hazardous Area Response Team, Patient Transport Services, Non-Emergency Transport Service and our NHS 111 arm in south east London. Paul was awarded an OBE in the Queen’s New Year’s Honours list in 2019 for services to NHS leadership. Our Chair, Heather Lawrence, commended Paul’s outstanding leadership and support to our frontline staff during the tragic events of 2017, when many hundreds of patients received care from ambulance crews and control room staff, all while we continued to provide a world-class service to the rest of London. Lorraine joined the Service in July 2017 as the Interim Director of Finance and Performance. 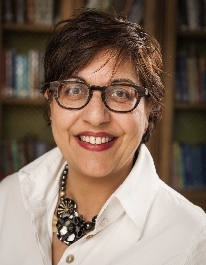 She has 25 years of NHS senior operational executive experience as well as senior director roles at University College London Hospitals and Hammersmith and Charing Cross Hospitals. Her last executive role was Chief Financial Officer of Chelsea and Westminster Hospital where over 12 years she oversaw a portfolio of finance, strategy, business planning, commercial and procurement services, informatics, clinical coding and information governance. She was also part of the management teams who took the trust to foundation trust status and negotiated the acquisition of West Middlesex hospital. 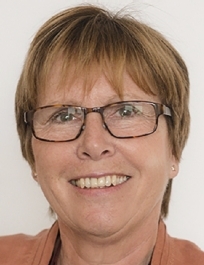 Lorraine has been a national speaker on her special interest in NHS patient-level costing and is a past Chair of the Finance Director network of the Association of UK University Hospitals and the London Procurement Partnership. 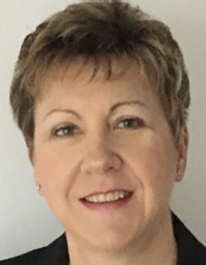 Lorraine is also an active advocate for the Healthcare Finance Managers Association as Deputy Chair of the HFMA Costing for Value Institute and a trainer in the Best Possible Value initiative. She has also held senior positions in FTSE 100 companies in the media and technology sectors including WH Smith Television Services and BT plc and is a Non-Executive Director for a regulatory risk adviser to the financial services sector and a Foundation Governor of Lady Margaret School in Parsons Green. Lorraine is a fellow of the ICAEW, a graduate of Trinity College, Oxford University and was awarded the OBE in the 2016 New Year Honors’ List for her services to NHS Financial Management. Dr Trisha Bain joined us in January 2017 as Chief Quality Officer. She has more than 20 years’ experience in quality improvement, patient safety and implementing system wide improvement programmes within the NHS healthcare services. Most recently Trisha was the Chief Quality Officer at Medway NHS Foundation Trust, and prior to that her career has also included roles with both the former Commission for Healthcare Improvement and the National Patient Safety Agency. 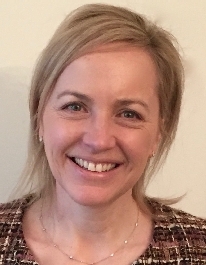 As our Chief Quality Officer, Trisha is accountable for public and patient involvement and learning, safeguarding, health and safety, clinical governance, Serious Incidents, liaison with the Clinical Quality Commission, patient experiences and complaints, mental health, end of life care, frequent callers, nursing and risk management. Benita joined us in January 2018 in the newly-created role of Director of Strategic Assets and Property. She is responsible for our estates, fleet and logistics and capital projects. Patricia joined us in June 2017 and has had a career spanning 25 years in people management and development. Having spent her early years in the construction industry she started her own FM business, Coflex, with her husband in 1998 before selling to global Facilities Services business ISS A/S in 2004. From working through the steep growth of the construction sector during the boom and bust years of infrastructure development in the UK, to joining the People team of ISS on acquisition of Coflex to head up integration activities, lead transition projects and latterly to lead the people function for the £400m public sector business – change and growth has been a constant backdrop to her career working with people. Ross joined us in May 2017 as Chief Information Officer. He has had nearly 20 years’ experience leading information technology teams and advising IT leaders. 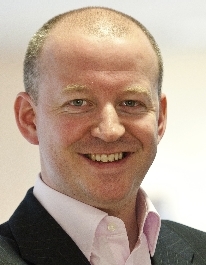 Ross held senior IT leadership roles in the defence sector for five years. Prior to this, Ross spent 10 years as a consultant where he led IT departments through major change at organisations including Centrica, BP, Marks and Spencer and the Student Loans Company. Philippa took up the role of Director of Corporate Governance in November 2017, having provided us with senior corporate governance expertise and advice on a part time basis since May 2017. Prior to her current role, Philippa was Director of Operations (Regulation) at NHS Improvement. She has over 15 years of experience of working in corporate governance roles within a healthcare regulatory context. She led Monitor’s governance team for five years and played a key role in the set-up of the Care Quality Commission and the wind down of the Healthcare Commission.